What Are the Symptoms of Tranquilizer Overdose? Can You Die from a Tranquilizer Overdose? Can You Overdose on Tranquilizers? Tranquilizer overdose occurs when a person takes more than a prescribed therapeutic dose, either intentionally or unintentionally. A person who has been abusing tranquilizers should seek addiction treatment to help them recover from an overdose. Do You Need Help With Tranquilizer Abuse? Who Answers? 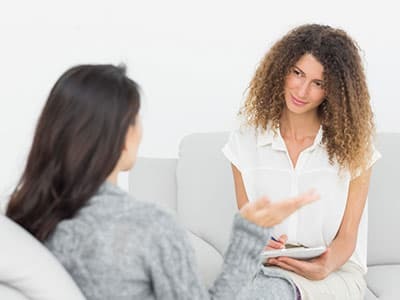 to talk to a treatment support specialist about the right recovery center for you. Benzodiazepines – These medications are typically used to treat anxiety and panic disorders.3 A large class of drugs, benzodiazepines are sometimes sub-classified according to potency, speed of onset of effects, and half-life. Some of the more commonly prescribed drugs include Xanax, Ativan, Klonopin, and Valium, among others. If you observe any of the above symptoms and suspect that you or someone you love has overdosed on tranquilizers, it is important that you call 911 immediately. Remain with your loved one or friend and attempt to keep him or her awake until emergency medical personnel arrive. Existence of certain medical conditions – Tranquilizers slow many of the body’s natural processes, including breathing and heart rate. Someone who has a pre-existing heart or lung condition may be at greater risk for overdose. Who Answers? to speak to one of our representatives, who can help you to choose a rehab program. Maintaining the airway and using ventilation support. Activated charcoal, particularly for barbiturates. A barbiturate overdose can be fatal. Barbiturates – An overdose of barbiturates can be fatal. It is estimated that 1 out of every 10 people who overdose on barbiturates or a mixture containing barbiturates will die.1 There is a slim margin between the dose of barbiturates that is therapeutic and the amount that can be fatal. The risk of death by intentional or unintentional barbiturate overdose is amplified by combining them with other central nervous system depressants. The likelihood of surviving a tranquilizer overdose is increased if it is the only substance in a person’s system. However, many people abuse other substances in combination with tranquilizers, making the potential for fatality much more likely. If you or a loved one has been fortunate enough to recover from a tranquilizer overdose, it is important that you seek help. Seeking addiction treatment can help you change the course of your life and drastically reduce the chance of a future overdose. If you are considering treatment as an option, there are several levels of care that could be appropriate. Residential or Inpatient tranquilizer rehab programs can last anywhere from 28 days to several months. You will be in a safe environment surrounded by others who understand what you are going through. You will receive medical, psychiatric, therapeutic, and nutritional care throughout your stay. Many programs also include detox. Outpatient tranquilizer recovery can take many forms, from meeting weekly with a therapist to attending a program multiple days a week. Programs can vary in terms of time commitment and level of care. Outpatient offers more flexibility than inpatient, but people who have serious substance abuse problems may need a higher level of care. 12-step programs – Twelve-step programs such as Narcotics Anonymous and Pills Anonymous provide a free, mentor-based recovery program that involves making amends to those you have harmed in addiction and embracing a higher power. Non-12-step options include SMART Recovery and Secular Organizations for Sobriety. If you or a loved one is recovering from a tranquilizer overdose or fear that you may be headed in that direction, please contact a representative today at 1-888-319-2606 Who Answers? . We can help you or your loved one get on the road to recovery.
. U.S National Library of Medicine. (2016). Label: Lunesta – eszopiclone tablet, coated.
. U.S. National Library of Medicine. (2016). Label: Ambien – zolpidem tartrate tablet, film coated.
. National Institute on Drug Abuse. (2016). Commonly abused drug charts.
. Gresham, C. (2016). Benzodiazepine toxicity: Practice essentials.
. Ries, R. K., Fiellin, D. A., Miller, S. C., & Saitz, R. (2014). The ASAM Principles of Addiction Medicine: Fifth Edition. New York: Lippincott Williams & Wilkins.